The company logo shows a face, which embodies the consultancy services that we provide. Our prefered mode of operandi is face-to-face, which customers want and prefer too. The pages of the book at the back of the face reflects the wealth of knowledge and expertise that we bring to the industry, in particular for professional development. The colour purple symbolises nobility, ambition, wisdom, dignity, independence and creativity. The colour light green is freshness,growth, stability, endurance and peace. The colour red shows our leadership, vigor, strength, courage and willpower. Our tagline is “WE ARE MORE THAN JUST SERVICES”. It means that we do not only stop at providing services. We want to go beyond that and be friends and make a promise to be there when you need us. 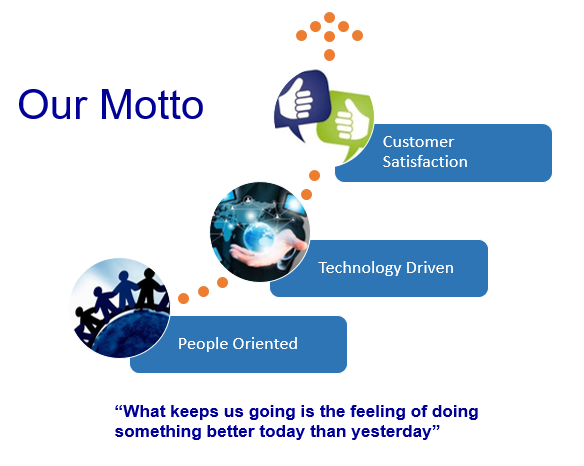 We make the time and give our all, to ensure that our customers are happy. We subscribe to the notion that “Happiness Is A Choice. It is not a result”. If our customer is happy, we are happy. You can call us anytime for a friendly discussion or need our help in customising a training programme for your staff. Call us and you will be surprised at what we can offer. 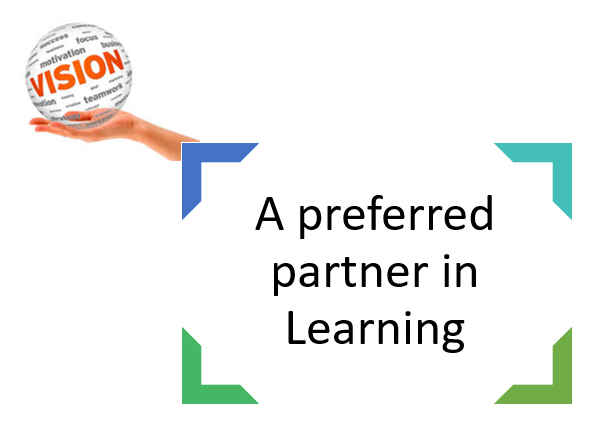 Our vision is to be a preferred partner in learning. 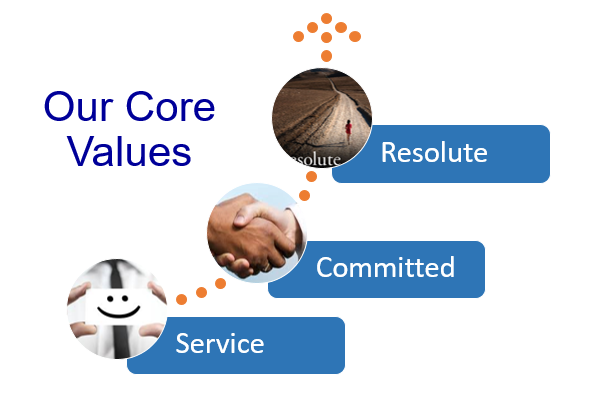 Through our services and professionalism, we want to build good relationship and rapport with our customers, that will lead us to being their preferred partner. Our mission is to inspire people and instill continuous learning. We belief in lifelong learning and want to role model it. We also encourage people to pursue happiness, which is a choice, not end result. Resolute -Being purposeful, determined and unwavering in what we do best. Committed – The state or quality of being dedicated to a cause or activity. 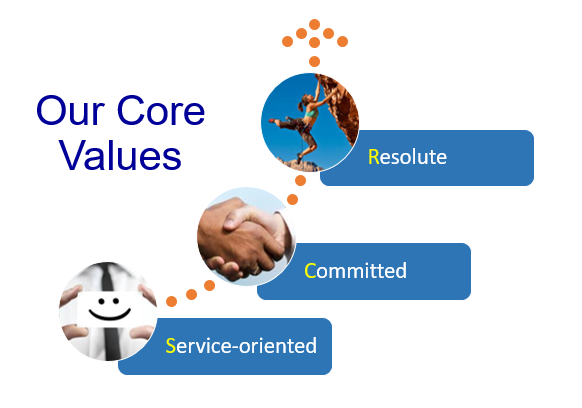 Service – Oriented : The ability and desire to anticipate, recognize and meet clients’ needs. RCS specializes in Professional Development of teachers, other professionals and volunteers. We conduct training to build people’s capacity as well as motivate them to bring about happiness to others and self. Invite us to show you how to achieve your organisational goals and bring about happiness to others.